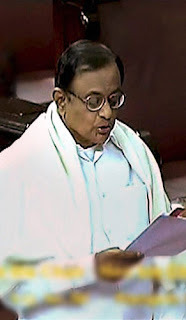 Home Minister P Chdambaram speaks in the Rajya Sabha in New Delhi on Wednesday, 14 December, 2011. In 2004, Congress President turned down the Prime Minister’s post and took the wind out of the BJP’s sails. In 2009, the NDA looked finished as an Opposition. But how things have changed! The endless scams have put the UPA firmly on the backfoot. This year Parliament has been quite stormy with slanging matches and walkouts ruling the roost. Then there was the decision to boycott Home Minister P Chidambaram. But what took the cake was the decision to bring FDI in retail. Parliament got stalled big time and the small traders of India are the latest to vent their ire at the Central government.